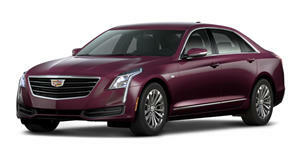 Looks like the new Cadillac CT6 V-Sport could give us an early preview of the mid-engine Corvette’s 4.2-liter V8. This week saw the sedan packing a 4.2-liter, twin-turbo V8 developing a hefty 550 horsepower. But while the Cadillac engine is all new, it’s not the first time we’ve heard of a 4.2-liter twin-turbo V8 from General Motors. Remember the ? Last year, a referenced the Corvette as well as a 4.2-liter V8 on the options list. Specifically, the document mentioned production of a 4.2-liter V8 starting in 2019 for a car expected to be the mid-engine Corvette. The fact the CT6 was announced with a 4.2-liter V8 seems to support this, so there’s a strong possibility the upcoming mid-engine Corvette will pack the same engine. 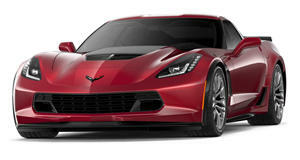 A post on provides further evidence the new mid-engine Corvette will get the Cadillac’s 4.2-liter V8. Despite its big dual overhead cam heads, the unit’s “hot V” design has turbochargers mounted between the heads to eliminate turbo lag and reduce the engine’s overall size, resulting in a very compact design. Furthermore, the engine will be built at GM’s Performance Build Center in Bowling Green, Kentucky, which happens to be the same location where the Corvette is built. However, last year’s rumors suggested the 4.2-liter V8 would produce over 650 hp in the Corvette, but the Cadillac engine falls short of this with a 550-horsepower rating. That said, the 4.2-liter V8 would be the base model, and 550 horsepower in a mid-engine sports car wouldn’t exactly be slow. Reports suggest a larger 5.5-liter V8 will also be offered packing a maximum output of 850 horsepower. Unfortunately, we probably . In the meantime, the Cadillac CT6 could give us an early preview of one of the engines it will use.